1. Has it really been three years? Has it really been three years since Jose got down on his knees in a grimy East Cambridge saloon and begged for the minute to arrive? Has it really been three years since the moon hung blood red in the sky guiding us to a new age like the Star of Bethlehem? And in just three years can the miraculous become passé? Can the joy of redemption, in just three revolutions of the Earth, become something as ignoble as the arrogance of victory? That is the charge against us now you know— that the Red Sox have gone in three short years from loveable losers humbled by tragic history to entitled bullies, supercilious and arrogant. Our enemies, both foreign and domestic, charge that we have lost our appreciation for the sacred, for the miraculous, and have descended into the profane assumption that our wealth is our guarantee of success and our virtue. This would be the natural course of events, Jose supposes. Even the Virgin Mary, with three year old child must have eventually ceased to be amazed by strange monarchs showing up in the night with shiny baubles, with astronomical phenomena following her child around and with angels disturbing her sleep with announcements of this prophecy or that. She must have begun to feel entitled. But that is not who we are three years on, it is not what we have become. Are our pilgrimages to foreign ballparks a sign of arrogance and vice? How is devotion a sin? If for us to go in droves to Colorado is a sin, then so too are Christian pilgrimages to the Holy Land, Muslims making the Hajj, or Jose, as a Jew, driving all the way to Rein’s Deli in Vernon, Connecticut just for some really excellent rugelach. Our devotion is not a sin, our passion is not self-righteousness. In the Grand Inquisitor, a story within the Brothers Karamazov, Dostoevsky tells the story of Christ appearing in the heart of the Inquisition and being brought before the Grand Inquisitor himself. The Inquisitor, in monologue, insists that Christ has it all wrong, that demanding people obey spiritual commandments without attending to their physical needs, bread, for instance, is impossible, that man cannot stand to be free and hungry. As Red Sox fans, we defy this dark view of man. For generations, we Red Sox fans were free and hungry and it was our choice. We could have changed teams, resumed interest only when victory grew nigh or abandoned baseball altogether, but we did not. We chose, freely and without coercion, to back our team, though they left us hungry and hungry and hungry again. And then three years ago on a crisp October night they gave us bread. They gave it freely, not as a reward for loyalty, or a bribe for further devotion, and our acceptance did not change our passion, our loyalty, our fealty at all. We continued to keep our faith in the Red Sox and to practice our fandom, our civic religion, just as before. Yes, our stomachs were full with the nourishing protein of victory, but that did not make our faith in our team, our devotion, any less virtuous, pure or sincere. So onward Red Sox soldiers, eat the bread and drink the wine, for there will again be a time when we are both free and hungry, but that time is not today. Today our stomachs are full, but our faith in the Red Sox remains pure and good. 2. If the Red Sox win tonight, you might as well call Tito Edwin Moses the way he’s dominating Hurdles. Actually, the funny thing is that with Tito completely and utterly outmanaging Clint Hurdle thus far, it seems eminently reasonable that he could beat him in the next 120 consecutive contests to match the great Olympian’s mark for mastery over the hurdles. In World Series Games their pitchers don’t win. And Josh Fogg is gonna take one on the chin. Or perhaps you prefer a different rhyme. That’s right the starting pitcher for the Colorado Rockies in tonight’s critical Game 3 contest is Lynn, Massachusetts native Josh Fogg. Fogg has had a, well, not awful year, putting up an ERA of just under five, but he has picked up two post-season wins thus far. Still the question we must address is whether a guy from Lynn can actually win in the World Series. History says he can, but probably won’t. The most recent pitcher from Lynn to take a World Series mound was Ken Hill who went 0-1 for the Cleveland Indians while pitching 6.1 innings in two relief appearances in the 1995 World Series. However, if you want to go back further, Irving Darius “Bump” Hadley went 2-1 for the Yankees with one start in each of the 1936, 1937 and 1939 Fall Classics. His career World Series ERA was however, 4.15 due to a disastrous 1937 start when he yielded 5 earned runs in just 1 1/3 innings. So what does this tell us about tonight’s pitching matchup? Well, if you contrast the performance of pitchers from Lynn with Japanese pitchers, it is no contest. Japanese pitchers have never yielded a single run, or even a hit, in World Series competition. But let’s look a bit deeper shall we and do a compare and contrast on Japan and Lynn. And when you add up all the pluses and minuses, it’s really only that last one that matters. Edge: Japan. `. There are two ways to write after an epic drubbing like the 13-1 Red Sox victory we saw last night in Game 1 of the World Series. The other option is the bailiwick of cynics and contrarians, “haters” in the vernacular of the day. It is to write defiantly, perhaps even arrogantly that the series is decidedly not over, to speak gravely of the 1960 Yankees, or the 2004 Yankees both of whom folded after posting dominant wins. It is to warn with the crusty cynicism (note: or is it narcissism? ), of someone who has been around for far too long the series is far from over, and that it may well end in calamity. It is Jose’s intention to avoid either of these worn and wanting formulae, each as tired as the sitcom episode where the cast goes to Vegas, and blaze his own trail through the thick jungle of rhetoric that surrounds the World Series. For Jose, the story is not about what happened last night or what will happen as the series progresses, but about what is happening right now. Tonight. St. Josh a Beckett is the only given in this series. He will pitch well; it is as close to certain as can be that the Red Sox will win games that he starts. But he is not pitching tonight. Jose has his own dreadful cliché for this evening. Tonight is the classic battle of youth and power versus experience and control as fireballer Ubaldo Jimenez pitches against born again finesse pitcher Curt Euro. Who will Ubaldo Jimenez be tonight? Will he be Bret Saberhagen in 1985 or Josh Beckett in 2003, stunning baseball with his haughty brilliance? Or will he be Jeff Francis last night, a young man clearly in over his head? And what about Curt Euro? Will he be the grizzled 1991 Jack Morris, throwing World Series gems well into his dotage or the tired 1992 Jack Morris, getting shelled in the World Series where he had thrived so recently? The answer is that we don’t know. We have no idea. We can speculate and prognosticate, ruminate and marinate, but we do not know. We cannot know. And it is at times like these, times of great uncertainty, that people do well to retreat to the calming confines of those few things we do know to be true. For some it is a faith in God, for others a belief in the power of love and for others still it is the certainty that no hitter is looking curve on a 3-2 count. Here is what Jose knows to be true. Jose knows that the beer will be cold and his house will be warm. He knows that Tim McCarver will say many foolish things. He knows that someone in spoken or written word will rhyme Fox with Rox or Sox. He knows that Dustin Pedroia will swing big and swing hard. He knows that Jacoby Ellsbury will run fast. He knows that Colorado pitchers fear Manny and Papi. He knows that regardless of whether his arm is ready, Curt Euro’s mind will be sending current across synapses and every electron will contain some little, critical piece of data about how to get batters out. These things Jose does not believe. These things, he knows. “This is disgraceful; this is absurd. This is a classic example of the fanatics on the cultural left trying to push their secular agenda on the county,” fumed O’Reilly without explaining what he was talking about. O’Reilly went on to express his disgust that even on a highly Christian team such as the Rockies, players felt pressured by Major League Baseball to conceal symbols of their faith. In bolstering his argument, O’Reilly pointed to Washington Nationals shortstop Cristian Guzman being forced to play under the name “Cristian. Jew, Muslim, Hindu, Zoroastrian, Buddhist, Shinto, Wiccan, Scientologist, Agnostic or Atheist Guzman, and the Nationals’ Jesus Colome being required to play under the name, Deity of Your Choice Colome. Sane people were not available for comment. 3. Different people root for the Red Sox for different reasons it turns out. Some people, most people, root for them because they love the Red Sox. But that is not the only reason. Others, such as Rudy Giuliani, the renowned Yankee fan, has decided to root for the Red Sox in an effort to pick up a few more votes in New Hampshire. Still others root because of the possible unintended consequences of a Red Sox win. For instance, Jose’s friend Mark, a Japan scholar who travels frequently to Tokyo, is rooting for the Red Sox because he believes that a World Series Championship for Mr. Matsu could lead to a direct Boston to Narita flight. This got Jose thinking: What other reasons might unconventional fans be pulling for the Old Towne Team? · Richard Dawkins, Christopher Hitchens, Atheists: Rooting for the Red Sox because the defeat of aggressively Christian Colorado Rockies might prove there is no God. · The Denver Broncos: If the Rockies go down, every one in Colorado will have to start paying attention again to awful Broncos team. · Woody Paige Denver columnist: Already has a book written called “The Curse of Dante Bichette” which just takes Dan Shaughnessy’s curse book and substitutes Bichette for Ruth. · Mork from Ork: Lives in Colorado, feels like Orser would be more interested in reaction of humans to losing, than winning. See, there are lots of reasons to root for the Red Sox. For Jose it’s that they give meaning to an otherwise empty existence. Clink. The first cube of ice hits the bottom of the glass. Clonk. The second cube ricochets off the first and settles into an uneasy tower of frozen water, braced only by the invisible arc of silicon fused solid. Tunk… tunk… Better make it three. They call alcohol liquid courage for a reason. Not so much because it increases one’s bravery, but because it eases one’s fear, and fear is the enemy of performance. The stakes are high now, frighteningly high, and there is little choice but to deliver. Three years ago, Jose did this without the sweet kiss of alcohol, his skin ravaged by infection and antibiotics the only thing standing between him and disaster. He worked clean in 2004, having to rely on the courage in his soul, rather than the courage in the glass to get him through four games of World Series tension. Not this year. This year he is healthy. This year he is strong. The first sip burns, burns as it always does, burns with anticipation, burns with exhilaration. The second is easier, so much easier. And then come the words. Jose is jealous. He is wildly, passionately jealous of Josh Beckett, of St. Josh a Beckett. Beckett will walk on to the Fenway mound at just a bit passed 8:30 this evening calm as can be yet with a frightening intensity. His emotions cooled, not by the cracked ice in a glass entwining with intoxicating liquors, but by the ice in his heart, in his arteries in his veins, intoxicated by the ecstasy of 37,000 madmen who want nothing save to bask in his brilliance. Josh Beckett, on this good evening, is who Jose wants to be. He is who you want to be as well—Confident, assured and completely and utterly in control of his destiny. There are stories in fiction, in comics, in movies of men who can control molecules, who can shape the very reality around them to conform to their needs and their demands. Those men are fictional but their power is not. But he is. He is that good. And for today, and perhaps only today, so is Jose, so are you, so are we. Jose sets down the glass and lets the ice melt slowly in its crystal cage, until the amber scotch grows gradually warmer, even as Jose’s gaze grows gradually colder. And the words continue to come. They come quickly like a fastball; sentences veer off into new ideas like a curve, and all fear drops out of sight like a splitter to the dirt. Jose does not need liquid courage, not tonight. He has Josh Beckett on the mound, and that is courage enough for anyone. 2. From time to time, Jose likes to inject a bit of political commentary into his KEYS, to use the bully pulpit of his little corner of the Web to advocate for causes near and dear to America’s powerful Japanese-German-Jewish-Unitarian lobby. This is not one of those times. That said, Jose does feel that it is an imperative for him to take a few moments on this historic occasion to comment on the war. He does this with nothing but the deepest respect and gratitude for our fighting men and women, but duty calls and Jose must respond. It has become the tritest of jokes to say “If we don’t the terrorist have won.” Jose will not dishonor himself by using that line. He will however, point out that if you put an “I” before “Rockies” you get the Irockies, or in apple speak iRockies. Sun Tzu urged us to know our enemy, and thus it is incumbent upon us to understand the nature of this adversary, these iRockies on the baseball field and understand how they differ from the Iraqis in the desert. Everyone knows exactly why we’re playing the iRockies. They won the National League, we have to play them; it’s really straightforward. By contrast, it is not totally clear why we had to go to war with the Iraqis. If we applied the same logic we used in the war with the World Series. We would be getting ready to go play the Washington Nationals, because they seem like a more desirable opponent, and as we speak, Theo Epstein would be making speeches connecting the Nationals to Colorado’s 2-1 series win over Boston this summer, and discussing how Dmitri Young could not be allowed to threaten our championship ambitions. We know that the iRockies, the whole of the iRockies are our opponents. No one on that team is trying to help us, there are no iRocky factions trying to undermine other parts of the team. The pitchers aren’t trying to seize control over the batters or face versa. This is helpful. The iRockies definitely want us there. They want us to come to Colorado and bring economic prosperity and liberation from watching the pathetic Denver Broncos. The Iraqis? Not as clear. Unlike the Iraqis, people close to the iRockies don’t seem to have cared about their situation at all until recently. If, before the war, you asked any Iraqi out of distance of the secret police, you can bet he had an opinion about how his country was governed. If you asked an iRocky fan about the management of the iRockies last April, he probably didn’t have a clue. Jose will bet that almost every single person in Baghdad can name, three, ten even twenty five Iraqis. Do you think most people in Denver can name three iRockies? The map to victory against the iRockies is clear—score more runs. Fighting against Iraqi insurgents, not so much. Also, regardless of whether a surge helps against the Iraqis, we definitely cannot add more players in the battle against the iRockies. Coming up tomorrow: How fighting the Taliban is like pitching to Todd Helton. (Note: Beards are involved.) Jose would add that he really doesn’t like the Taliban. He thinks it is terrible that they made all of the women cover themselves with former Sox pitcher and excellent bowler John Burkett. They weren’t even allowed to go outside without a Burkett on. 3. Speaking of the Rockies, Jose doesn’t get the name. He’s been going through famous people named Rocky left and right and he can’t find anyone from Colorado. Rocky Marciano was from Brockton. Rocky Graziano was born in New York and was played in the movies by Paul Newman who was born in Cleveland. Rocky Balboa was Philly through and through. Rocky the Flying Squirrel? Frostbite Falls Minnesota. Rocky Johnson is from Nova Scotia, and his son Rocky Maivia, a.k.a. Dwayne Johnson, a.k.a. the Rock grew up all over, but not in Colorado. Rocky Colavito played for six teams, none of whom was in Colorado. Rocky Anderson, the Mayor of Salt Lake City, is kind of close to Colorado, but not nearly close enough. Rocky the Bull is the mascot of the University of South Florida, which is a little far away. This leaves us, Jose supposes, with mountains, which’ let’s be honest, is a little absurd. Would we ever call a baseball team here the Appalachians? Would we break it down and have it be the Boston Berkshires? No, of course not. That would be stupid. Now maybe, you could argue that the mountains, while part of New England, are not really part of Boston. Fair enough, but would you want our club named for any other feature of our city? Would the Boston Harbors be a good name? The Boston Commons? The Boston Bars close at 2AM? No, of course not. Instead we chose a simple, likeable mascot in the form of hosiery of an incredibly flamboyant hue. What’s not to like? So Jose suggests that if the Colorado baseball team wants to be taken seriously, they change their ridiculous name and choose something that reflects the clothing of their cowboy ethos, perhaps the Colorado Brown Chaps. Chaps, also has the benefit of being an acronym for Cow Herd Appraisal Performance Software, which would make a great sponsor for the team every time the National Western Stock Show comes to town. When these two men stand face to face, you’ll doubt that Cleveland Rocks. To ship a hefty sack of gold back to the Orient. But now his shining golden arm’s what keep’s them all alive. And from that moment Daisuke was more than just a man. And stood before the media as if to feed the beast. But Japanese he still remained, and thus was quite demure. And won support from legends past like Sadaharu Oh. And watch him rise up to the top like sweet and fatty cream. And happened by their restaurant while walking down the street. This, DiceK pitched and often well, for our own Boston squad. And yet, this eastern hero was not like unto a God. And in the playoffs he has had some frustrating nights. For seventh game, and hear the cheers that signal his renown. And that his God, while he is pitching, can save him from harm. Since God is great he’s got some bigger things he must address. He doesn’t intervene to throw a strike or else a ball. Upon his own two feet this man Jake will stand or fall. While over on the other side, DiceK throws naught but strikes. While DiceK’s getting bigger in the Land of Rising Sun. The East is getting stronger while West (brook) is losing clout. There’s little doubt today concerning which one is the best. There’s something magic about the number 7 isn’t there? They could end series with Game 9, a fine and honorable baseball number. Hell, they used to end series at Game 9, and yet 7 is the number. Perhaps it’s the certain mysticism that goes along with it. There are seven wonders of the world, seven seas (note: except not really), seven is the most common roll on a pair of six sided die, and it’s the number of points on a sheriff’s star. 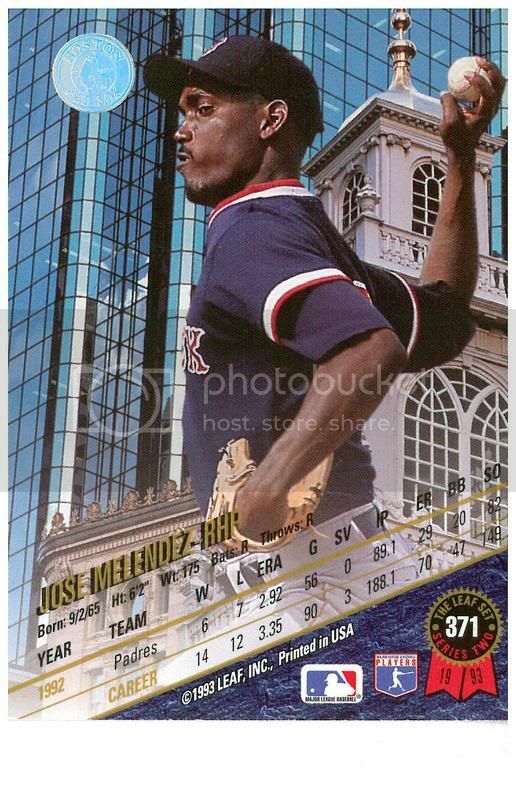 It’s also Jose’s age when he first went to a Red Sox game. But as much significance as that perfect prime number has for us Westerners, perhaps it has just a little more for the men of the East. Bushido, the Japanese way of the warrior, has exactly seven principles. And while Jose is not much for ancient myths, or feudalism for that matter, Jose cannot help but believe, that if Daisuke can follow the seven virtues of Bushido tonight he cannot, he will not be defeated. • Choose your pitches wisely. Throw what must be thrown, and if is hit, so be it. Do not shy away from the fastball because Kenny Lofton gets lucky. Do not shy away from the curve because the ump is blind. • Trust in your breaking pitches. Have faith that even though they may not be hard or cruel, merely having the courage to throw to in the mid 80s to men of iron, is proof of bravery. • When Kenny Lofton steps out of the box yet again. Bow humbly to him, bow deep and dignified. Then plant one in his ear. • If you are out of gas, admit that you are out of gas. If Pedro had had more Makoto four years ago and told Grady to bleep himself history would be different. • The glory is yours for the taking. Look at DJ Dru. All season, he struggled and strived, yet failed and flailed, and last night, with one magnificent swing all was forgotten and forgiven. You have performed well this season; you have pitched with honor, but the glory? The glory is yours to seize. • Tito has been loyal to you, as he has been loyal to DJ Dru and Julio Lugo, and as he was loyal to Mark Bellhorn and Johnny Damon before them, and they have rewarded his loyalty with performance. Loyalty is, it must be, a two way street, reward Tito’s loyalty with your own. Tonight, Daisuke Matsuzaka is a samurai. If he were a boxer or a wrestler, he would enter on a horse, clad in the venerable armor of old Japan. But he is not, he shall not enter from the bullpen on a sacred steed, but on his own two feet, protected by naught but the sacred B on his cap and a right arm more magnificent than Masamune’s steel. And thus, I predict, humbly and in the first person, that the Red Sox will win. I saw him staring at his locker—Here’s advice. Oh mix your pitches, don’t just throw speed. Don’t over nibble. Here’s what we need. So all the batters will hit balls on the ground. I want Francona to use that pitcher, so he can get himself some U.S. acclaim.